Intel is expected to recapture the top semiconductor manufacturer ranking in 2019 – a title it lost to Samsung back in 2017. Despite its rather tepid outlook for the upcoming year, a slump in the DRAM market might be cause enough to allow Intel slip into the numero uno slot, sending Samsung back to playing second fiddle. 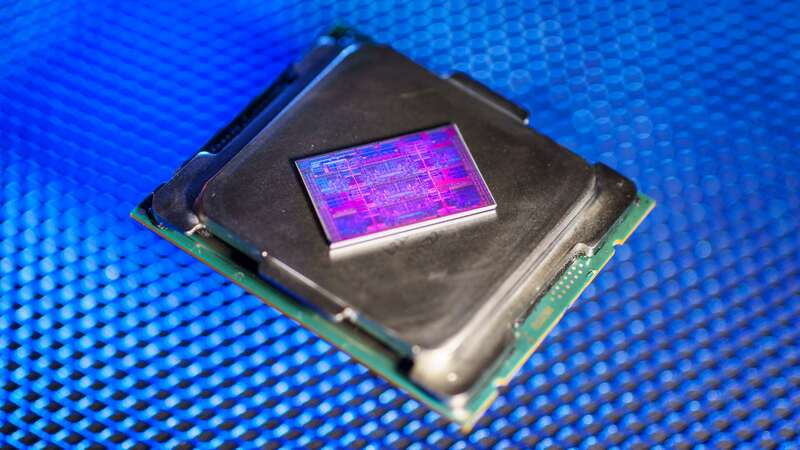 Despite manufacturing shortages and increasing competition, Intel managed to stay the course and maintain a relatively flat trajectory for 2019 – or so it says. Its projected revenue of $71.5bn was less than analysts had hoped for, but could be enough to clinch the title regardless as its competitors, Samsung, SK Hynix, and Micron, get battered by a global memory slump. The PC memory market is in “freefall”, reports DRAMExchange, and mobile phone demand is similarly in a slump, too – adversely affecting the revenues of all involved. Memory prices experienced their sharpest decline in eight years during February, as suppliers hold onto excess inventory and shorten contracts. PC memory prices reportedly plummeted by 30%. Hallelujah. 83% of Samsung’s sales were made up of memory devices in 2018, culminating in $78.5bn in sales during 2018 (via IC Insights). This ongoing slump is expected to knock its sales by 20% in 2019. It’s all a bit rich that Intel will regain the top spot amid this downturn, seeing as it may have some part to play in the PC memory downturn. The company’s 14nm manufacturing shortage, resulting in a focus on high-end processor production at the expense of entry-level silicon, is touted as one of the reasons for weakened demand from OEMs for memory chips. This shortage is reportedly expected to continue until Q3, 2019. Around that time it’s also hoping to start shifting some of the demand away from 14nm and onto 10nm with Sunny Cove and Ice Lake CPUs by the end of the year. Despite SK Hynix, Micron, and Toshiba sales expected to drop down to, or potentially below, 2017 figures this year without some form of reprieve, semiconductor manufacturers seem optimistic of further demand and growth as Earth’s thirst for tech grows. SK Hynix is planning to spend a $107bn on four new fabs in 2022, fearing increasing competition from China. And Samsung isn’t throwing in the towel just yet, it’s planning on spending some $161bn to expand over the course of the next three years. It might also be looking to consolidate its position at the top by purchasing ex-AMD foundry GlobalFoundries. The memory price crash has left gamers in a rather advantageous position, however. At the beginning of 2018 a 3,000MHz 2x8GB Corsair Vengeance kit would have set you back over $200. Nowadays, that same system memory can be found for $100 or less.